Since 2005 Sixth Street Community Center has been actively involved in providing support and relief to low-moderate income residents of communities impacted by Hurricanes Katrina, Sandy and other emergencies. Following Hurricane Katrina in New Orleans, Sixth Street organized seven benefits during the period 2005-2010 to raise reconstruction funds for the people impacted. As part of this effort, Sixth Street organized the Loisaida-New Orleans Caravan: a group of volunteer carpenters, plumbers, electricians, artists and others from the community who traveled to New Orleans twice for three weeks - two months at a time to assist with the clean-up and rebuilding efforts. 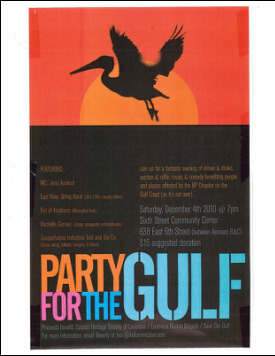 Additionally, Sixth Street worked with the New York 2 New Orleans Coalition to host five benefits during the period 2008-2010 to support students from New York City High Schools to do recovery work in New Orleans. In the aftermath of Hurricane Sandy in November 2012, Sixth Street served as a relief hub for receiving emergency food, water, clothing and other supplies from numerous donors and distributing them to community residents. Over two thousand households received emergency assistance in the two weeks following the hurricane. Hundreds of volunteers recruited through our community network converged within the Community Center to help organize the distribution and preparation of emergency food and water packages for delivery to the elderly, disabled and other vulnerable households stranded in high rise New York City Housing Authority sites and elsewhere. 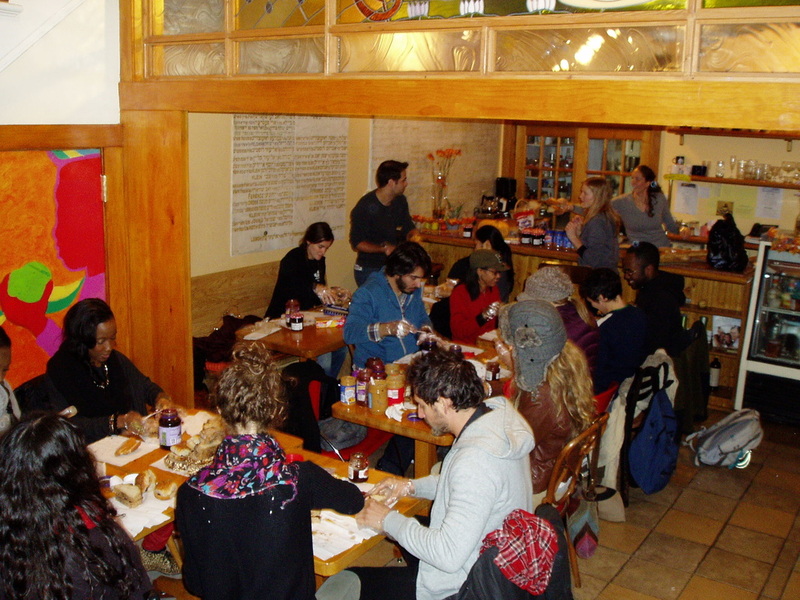 In December 2012 Sixth Street continued its community recovery efforts by housing legal clinics with the New York Legal Assistance Center and Urban Justice Center. Neighborhood households were assisted with various hurricane related legal issues and claims. 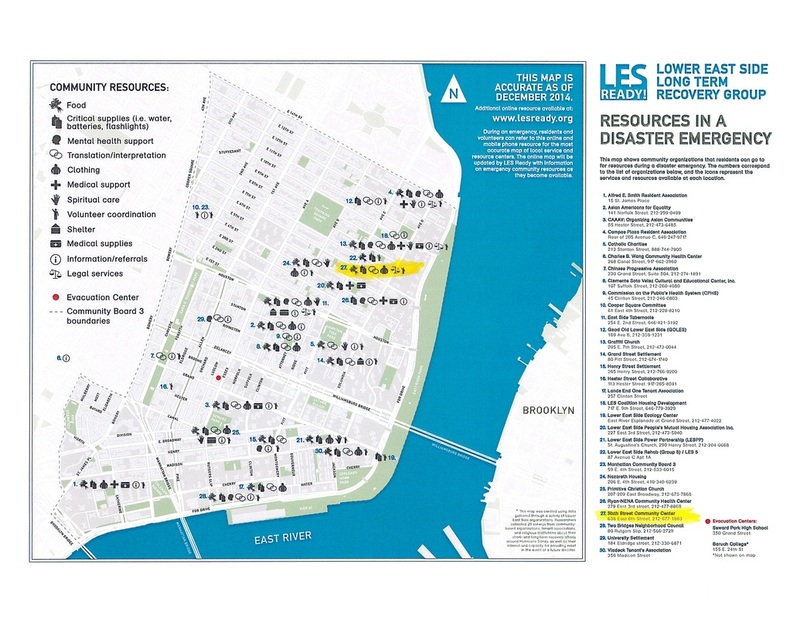 Sixth Street Community Center is an original member of LES Ready, the Lower East Side's long-term recovery group, which now consists of 40 formal members and participation from over 50 organizations and faith-based groups who were the direct responders to Hurricane Sandy. 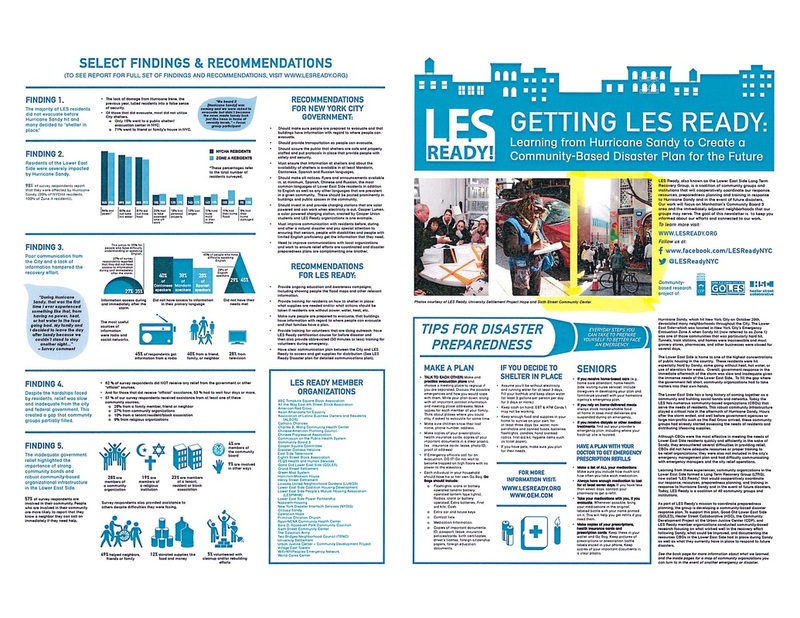 LES Ready meets at least once a month, and together with Sixth Street and other members is working on creating a community disaster plan, assessing potential relief center sites, and providing disaster-preparedness trainings.